Gloucester, Massachusetts, is one of the oldest fishing seaports in the U.S. After seeing a decline in the fishery over the last 30 years, the Gloucester Harbor Plan Committee recognized the need to diversify its maritime economy. Knowledge of ocean-dependent industries and jobs was essential to making the case for investment on the working waterfront in the community, but the available data did not accurately reflect the maritime workforce. To achieve its goals, the committee sought better data to accurately characterize and identify the strengths of the maritime sector in order to help develop new, diverse maritime companies. To generate a localized view of the maritime economy, Gloucester’s harbor planning director worked directly with NOAA’s Office for Coastal Management using the Economics: National Ocean Watch (ENOW) data set. 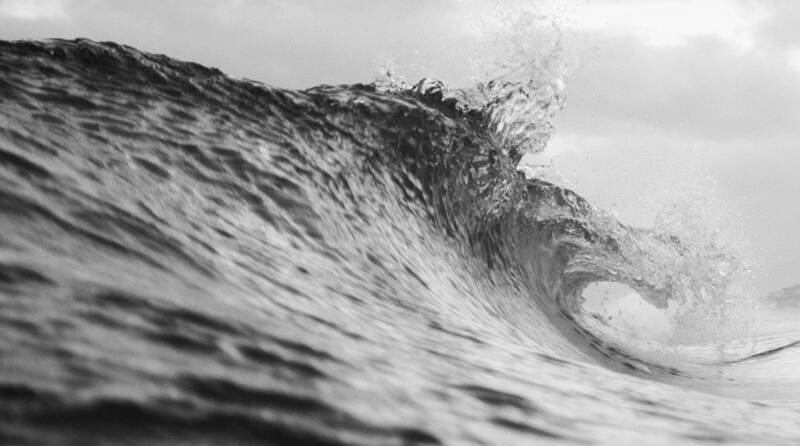 The ENOW data for Essex County indicated that the living resources sector, primarily commercial fishing, accounted for 10 percent of the employment in the county’s ocean economy. Using these data as a starting point, planners were able to identify industries that were previously overlooked. Next, local employment data provided by Massachusetts’ Labor and Workforce Development agency were analyzed to further understand Gloucester’s maritime economy. 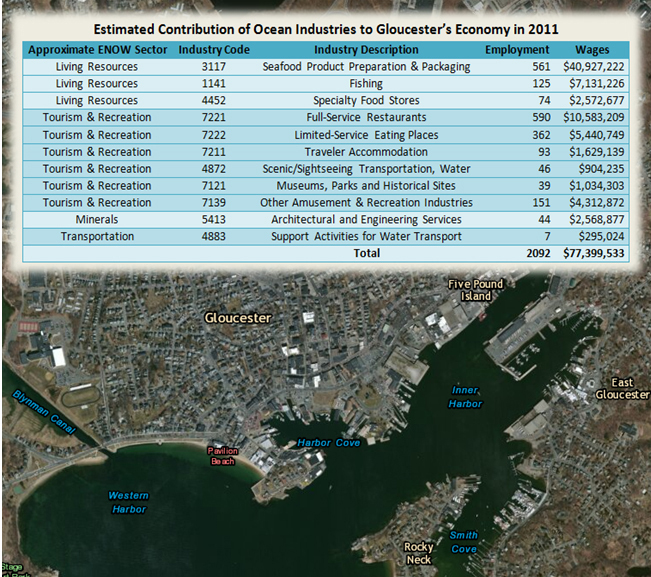 Using the ENOW framework and local data, Office for Coastal Management staff members were able to downscale county data to create an economic profile for Gloucester’s working waterfront and identify individual ocean-dependent businesses sorted by industry class. Through the ENOW framework and county-level ENOW data, harbor planners were able to tailor their maritime economy profile, and identify the ocean-related businesses at a city level. The city of Gloucester was also able to plan for new and emerging markets in maritime technology and industries, and develop a maritime economy based on the increasing importance of ocean knowledge and products. The project demonstrated the ability to scale and transfer the ENOW framework and serves as a model for other local users to customize ENOW county data with the aim of building more resilient and thriving working waterfronts.